I got out of work early last Friday to kick off Labor Day and met my family at the library where they were hanging out. 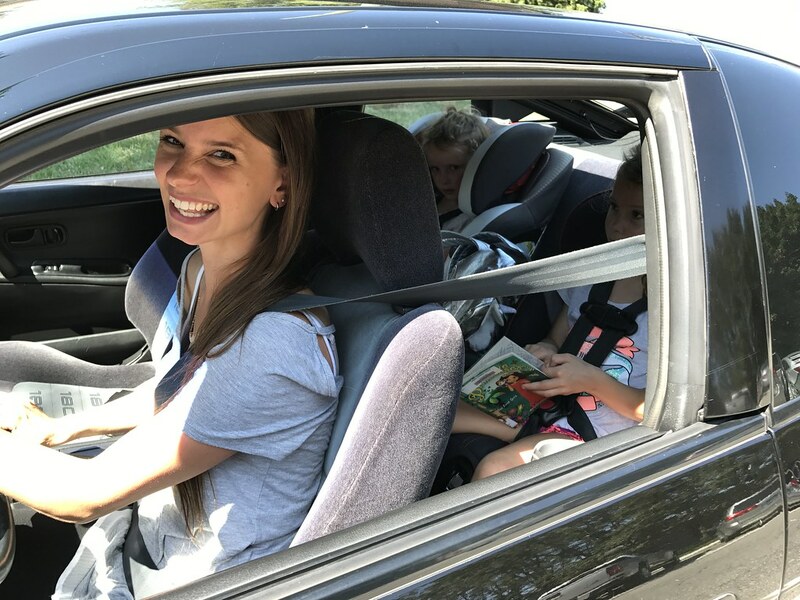 Alicia has been asking me to drive the car lately so I let her and Kinsey and Hattie drive it home while I followed behind with Alexi in the Sienna. I realized while driving along with them that I don’t think I have watched this car drive from the outside in many, many years- pretty cool! Being a passenger while someone else drives is one thing, but it is pretty wild to see your creation cruising down the road. It gives you a fresh and unique perspective. It had been quite a while since Alicia got to drive the 240, but she looked like a pro- even swerving around a few questionable patches of road on the way home. That evening we went to visit some family at a local park. On the way home we stopped and picked up a really nice S13 dashboard complete with all of the vents- including the coveted defrost vents. I was a bit worried about the dash’s condition since it was very dirty when I got it, but thankfully when I got home and cleaned it up I found that it was in awesome shape. I was able to sell the spare defrost vents too which helped bring the overall cost of the dash down quite a bit. 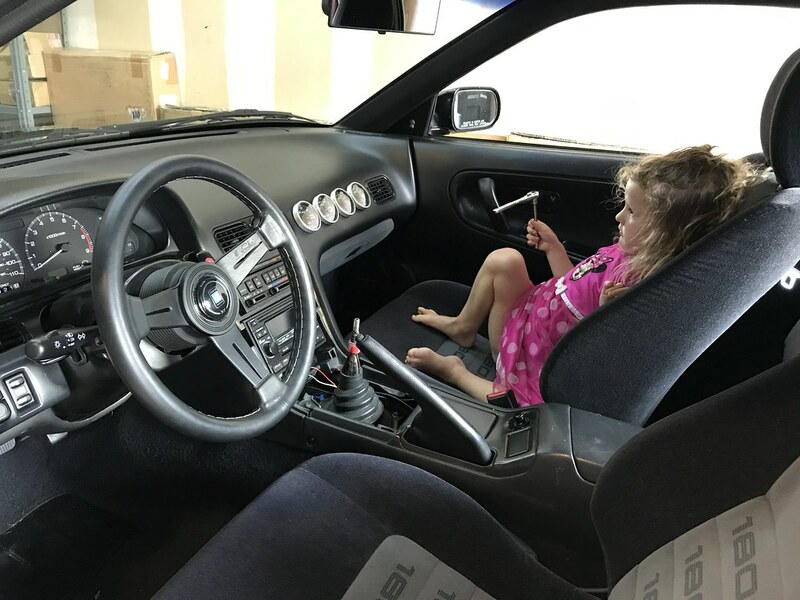 On Saturday morning Hattie and Kinsey helped me with swapping in the new dash and removing my Defi gauges (yes- again.) Thankfully I have done this task many times by now and it only took us a couple hours to get everything buttoned up. However, as I am writing this I realized that I could have swapped out my wiper relay to fix my windshield wipers (they don’t work on the first setting) but I completely forgot to do it. Doh! I guess I will have to save that for another time. I sold the Defi gauges a couple of days ago and sent them off to their new owner. 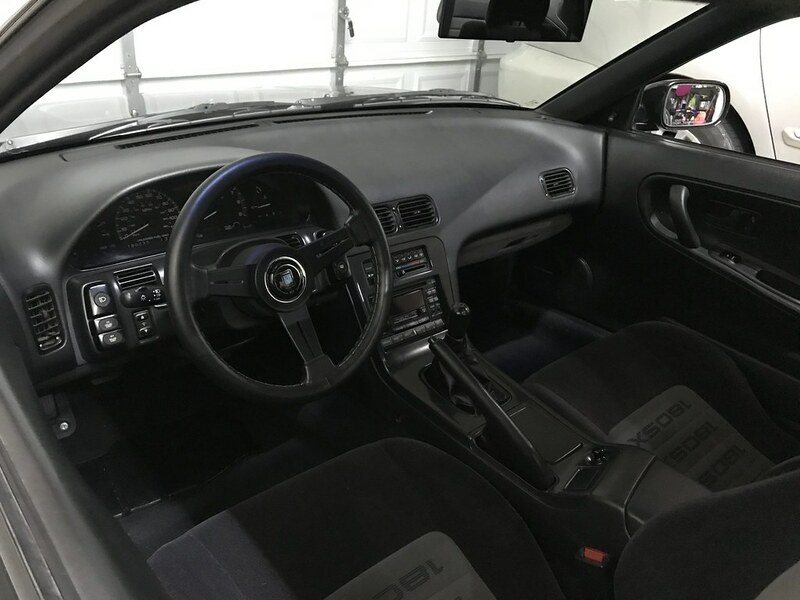 My interior is now essentially a stock 180SX with a Nardi steering wheel and NISMO shift knob- extremely simple. I can’t say I ever thought I would desire an interior like this, but I am really happy with it for the moment. 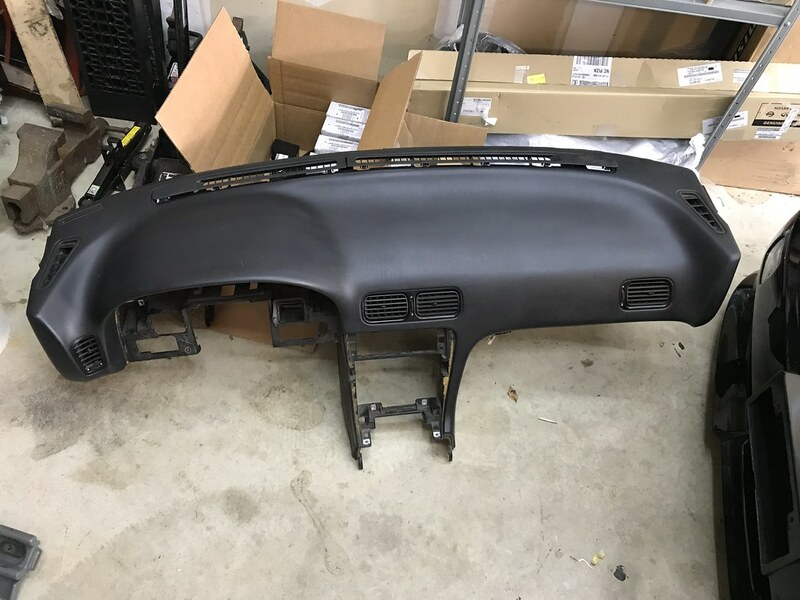 I do have a kouki 180SX gauge cluster and digital climate control sitting around in the garage, but I am torn on whether or not I want to install those items. I’ve got a busy couple of weekends coming up with some different trips to visit family, followed by Alicia and I’s trip to Wisconsin for Super D. I am still torn on whether or not I want to drive the S13 out there- it may just be a game time decision based on how the weather is looking and how I feel about the car at the time. We’ll see what happens.